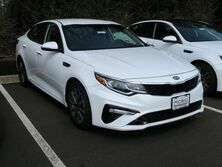 The new 2019 Kia Optima is a top option with more value and performance for every driver. 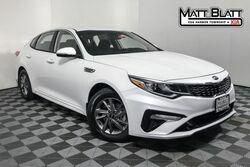 Enhanced driving experience, safety options, and innovative new technology pushes the 2019 Optima to new limits. Some of the updates include: a refurbished exterior, increased MPG, and new standard features. 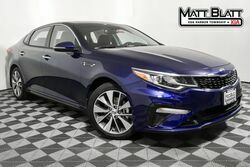 The 2019 Optima is the best pick for those looking for an impressive, stylish sedan. Many features have been upgraded and made standard on all trims. Along with the features from the 2018 Optima, new standard features of this year's model range from new top safety products for protecting you and your family to enhanced comfort and convenience features making your commute smoother. 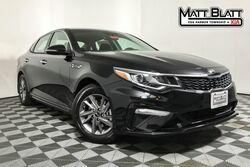 The 2019 Optima interior bursts with comfort and luxury. 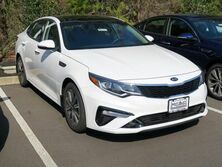 With plentiful space, advanced technology, and a quiet motor, driving the Kia Optima is like a dream. The craftsmanship can be felt in every aspect of the vehicle. Slide into the driver's seat and lay your hands on the wheel. You won't want to get out. With standard UVO play 8-inch touch screen (includes support for Android Auto and Apple CarPlay) on 6 surrounding speakers, you can dive into your playlists. Along with a seamless command center, the commute will never be so relaxing. 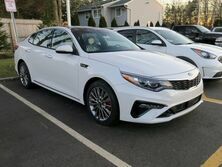 The Optima's new sportier design has a bold and distinctive look. Still eye-catching and powerful-looking with reworked wheel structure and front and rear grill. This is a car that turns heads. To compliment this impressive form, under the hood are several impress engine options from a 2.4L to a Turbocharged 2.0L with 7-speed Dual Clutch Transmission. The standard engine gets up to 185 horsepower at 6,000 rpm and 245 hp @ 6,000 rpm with the SX. Feel the power in your hands. Matt Blatt now offers online purchasing for easy and convenience car buying. Learn More.